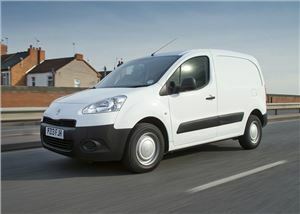 These are the new and used petrol vans with the lowest insurance groups under the 1-20 rating system. No model in this list sits in a higher group than 3E, so you can bank on low premiums from any version. They’re fewer in number than their diesel equivalents, but petrol-powered vans are gaining in popularity and they make a lot of sense for drivers who cover lower mileages in urban areas. They also avoid common issues with diesel particulate filters (DPFs), while modern petrol vans in particular are a big improvement over their forebears. 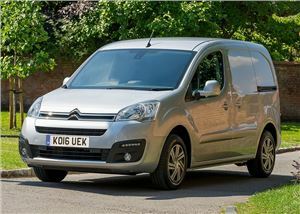 The Citroen Berlingo is one of four petrol-powered vans in the lowest possible insurance group of 1E. Models in that group are fitted with the 95PS 1.6-litre engine and come in L1 625 guise and either X or LX trim levels. It has a comfortable ride and handles well for small van, while there’s a generous sized cargo area, regardless of which wheelbase you go for. Also in the very lowest 1E insurance group is the Ford Fiesta van, which is the best car-derived van to drive, in our opinion. That rock-bottom group applies to the 82PS 1.25-litre engine – which is still a hoot to drive, despite its small proportions – along with Base and Trend specifications. 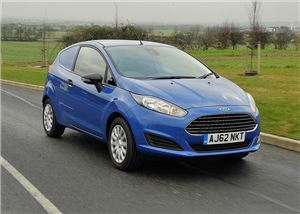 The Fiesta is also one of the best-looking petrol vans on our list, and it has a smart, well-built interior. It’s virtually the same as the aforementioned Citroen Berlingo under the skin, so it’s no surprise that the Peugeot Partner also starts in the lowest 1E insurance group. That gets you a 90PS 1.6-litre petrol engine and an L1 625 body in SE trim. The Partner drives very well, as it borrows a number of components from Peugeot’s 308 passenger car, and it’s refined, letting in very little in the way of road noise. 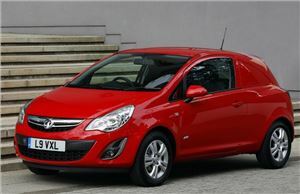 The last of the petrol-powered vans in the lowest 1E insurance group is the Ford Fiesta van’s arch rival, the Vauxhall Corsavan. That group applies to models with the 70PS 1.2-litre Twinport petrol engine, one of which is available with a stop-start system, which makes town driving more economical. There is also one version of the latest Corsavan available in insurance group 1E, also with a 70PS 1.2-litre petrol engine. 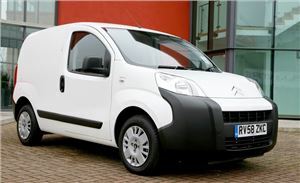 It may be Citroen’s smallest van, but there’s more space in the Nemo’s cargo area than you’d expect at first glance, which makes it ideal for hauling loads around towns and cities. The 75PS 1.4-litre petrol engine renders it even more appropriate, and it starts in insurance group 2E in X trim with a 610 body. Its small proportions mean the Nemo is inexpensive to buy and run, so it’s a cheap and cheerful van in every respect. Easily the most stylish petrol-powered van on our list, the MINI Clubvan is a great choice for businesses looking to make a splash. The downside is that it only had a two-year production run, so there are few around, but if you’re lucky enough to find one, they start in insurance group 2E. That applies to both the One Clubvan and the Cooper Clubvan, and you can get both versions with an automatic transmission without leaving the same insurance group. 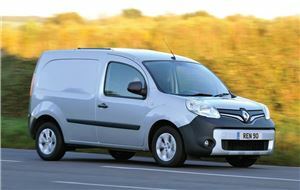 Petrol-powered versions of the Renault Kangoo kick off in group 2E, which applies to the 105PS 1.6-litre engine in ML19P guise and in standard or Freeway trim levels. It’s also available with an automatic transmission in this insurance group, which makes it even more suitable for low-speed town driving. Though it starts in the higher insurance group of 5E, the electric Kangoo ZE is also worth considering for businesses operating in urban areas. You’re looking at a starting group of 3E for a petrol version of the Fiat Doblo Cargo, which gets you the 95PS 1.4-litre engine in SX trim and both standard and high-roof configurations. The manufacturer’s recent vans are known for their Tardis-like qualities, and the Doblo Cargo is no exception, as it has a huge load bay, despite its relatively compact exterior. It’s also good value and has a comfortable ride. 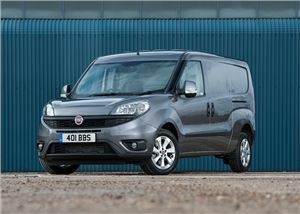 The only model on our list to bear the hallowed Transit badge starts in insurance group 3E. Within that group is Ford’s excellent 100PS 1.0-litre EcoBoost turbocharged petrol engine and a short wheelbase body in 200 Trend guise. Smooth and punchy, the EcoBoost model is ideal for transporting cargo around town and, despite the engine’s diminutive size, it can still cut it at higher speeds. 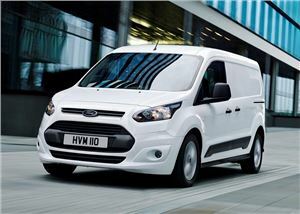 Like the majority of Ford’s vans, the Transit Connect is great to drive and has a refined interior. 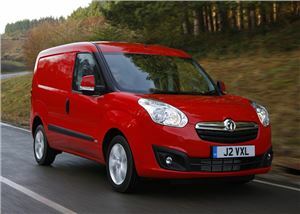 Given that it’s essentially a rebadged version of the Fiat Doblo Cargo, it isn’t surprising that petrol versions of the Vauxhall Combo also start in insurance group 3E. As with the Fiat, Combos in that group are limited to the 95PS 1.4-litre petrol engine in L1H1 2000 guise, and they have a stop-start system, which renders them more frugal around town. There’s no shortage of space in the Combo’s cargo area and it’s comfortable, too.